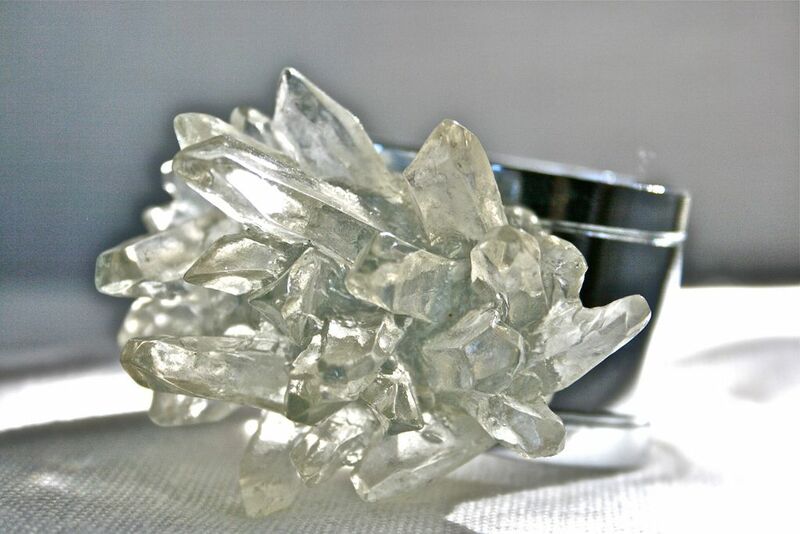 Quartz is a mineral composed of crystallised silica (rhombohedral structure) in the pure state (sometimes with a translucent appearance in "rock crystals", but usually opaque) or as a constituent of granite, sandstone or sand. When pure it can be colourless or it can be coloured by impurities (amethyst, citrine). Quartz has the property of being transparent to ultra-violet radiation, unlike ordinary glass. It is used in some optical instruments (e.g. prisms). In electronics it is used for its piezo-electric properties. It is the commonest form of silica (SiO2) present in many acidic crystalline rocks but also in metamorphic or sedimentary rocks (sandstone).